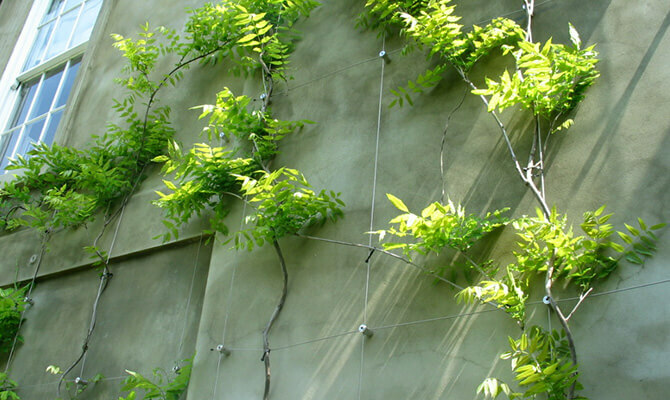 The 'Green Wall' stainless steel trellis system is made up of clever stainless steel wire hubs, which allow for the crossing and partial tensioning of wires to form trellis sections. Designed to accept 3mm 7x7 stainless steel wire rope. 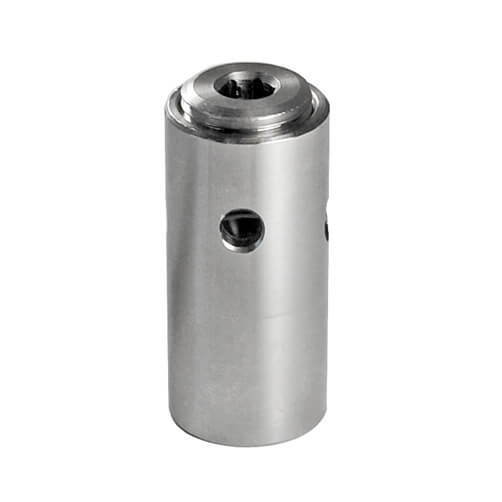 Manufactured from high quality 316 grade solid stainless steel bar. Supplied with 3" No.12 wood screw in stainless steel - for direct installation into hardwood timber. Ideal for masonry mounting if combined with a plastic rawl plug (not supplied). 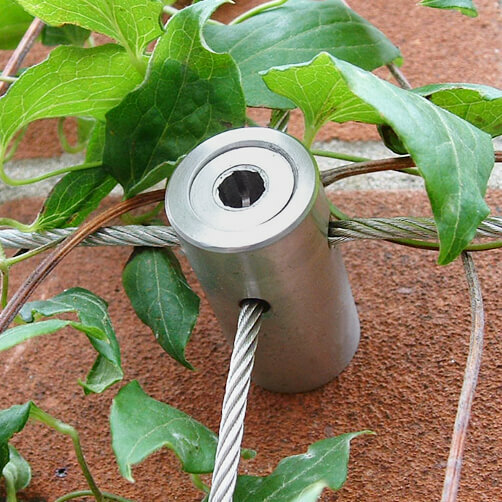 This high quality stainless steel 'Green Wall' wire trellis hub has been engineered and manufactured here in the UK. Just what I wanted to set up a stand off the wall trellis for wisteria. Good quality functional and does the job. Very nicely made, exceeded expectations. They look so smart, easy to install and the green wall trellis looks the part! 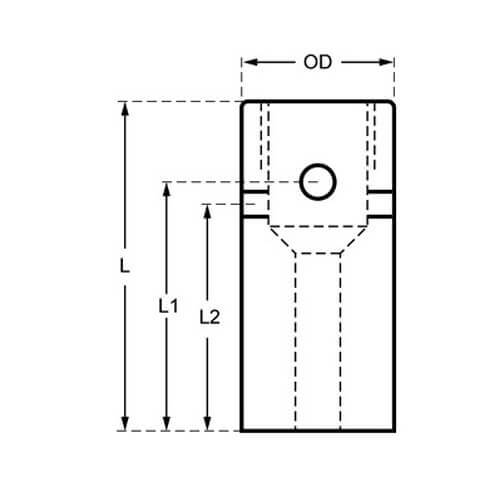 Cross Clamp for 3mm stainless steel wire rope. Wire Rope Stopper - Ring Clamp, plant support and trellis.